This exercise is a great ankle strengthener. It can also improve balance and is a great addition to the foot dexterity exercises of the previous posts. 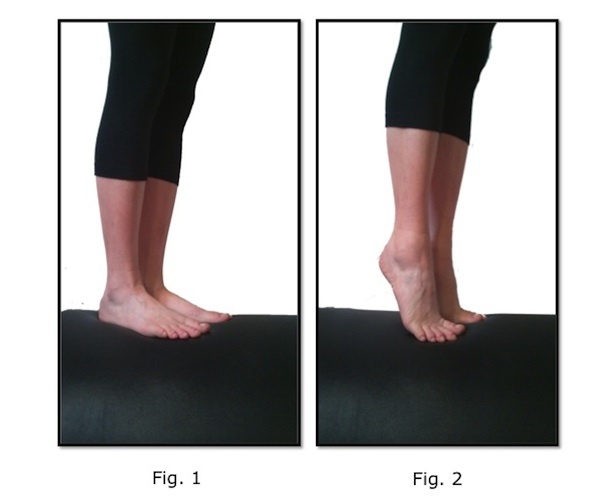 To do this exercise you will start by standing with equal weight on both feet. Your knees are long and you are standing in your tallest posture. Take an inhale and as you exhale rise up on your toes. Inhale as your release your heels to the ground and exhale lift your belly button and reach the top of your head towards the ceiling as you rise up onto the balls of your feet. Repeat this exercise 8-10 times. Be sure that the weight of your body lines up with your second and third toe. You want your ankles to be centered over the second and third toe at the top of the calf raise. As you exhale imagine lifting your belly muscles up and in. Be aware of your posture during this exercise try to make your spine as long as possible as you rise up, and keep that length as you lower down.